The British investment company CBPE Capital has acquired from Ideal Industries Inc. a majority shareholding in Ideal Networks, a provider of portable instruments for the testing, validation and certification of cabling and computer and telecom networks. Ideal Networks continues to be led by its CEO, Paul Walsh, and his management team who participated in this acquisition. The terms of the transaction, which was completed on December 20, 2018, are not disclosed. Ideal Networks offers field testers for installers, integrators and maintenance providers involved in cabling and cable networks. The company markets its products worldwide: EMEA, North America, Latin America and Asia. The executives who took part in this acquisition will retain their positions: Paul Walsh (Chairman and Chief Executive Officer), Scott Paterson (Chief Financial Officer), Peter Kent (Development Director), Russell Stratton (Operations Director) and Tim Widdershoven (Marketing Director). “Our international business and product references do not change. Our partnerships with our distributors continue. However, our objective is to respond even more quickly to the needs of the various markets addressed. The name of our brand will have to evolve in the coming years, but it will not be done in a sudden way,” says Paul Walsh. Ideal Networks offers computer and telecom testers that interface with copper and fiber optic cabling infrastructures. 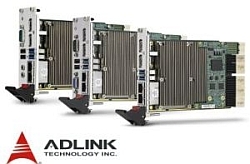 These instruments certify passive cabling or qualify active Ethernet networks for transmission.